Judging by the newest reports, Toyota’s next-generation pickup trucks will definitely cut building expenses. The Japanese automaker managed to make an architecture which will be suitable for the next-gen Tacoma and Tundra, as well as for the overseas Hilux. 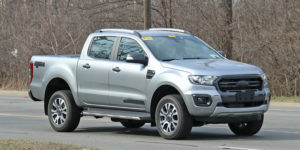 Taking into account that they are doing pretty much the similar thing with TNGA platform that is currently underpinning and will underpin a range of cars and crossovers, the decision to put all pickups under the same roof was largely expected. According to our source, the all-new chassis which is internally called the F1 will support the latest technologies and new features, so don’t be surprised to see “greener” (electrified) trucks in the coming years. It’s important to mention that the same architecture is going to support several SUVs. Yes, the automaker will use this so-called F1 chassis for the next-gen 4Runner and Sequoia which are under development as we speak.